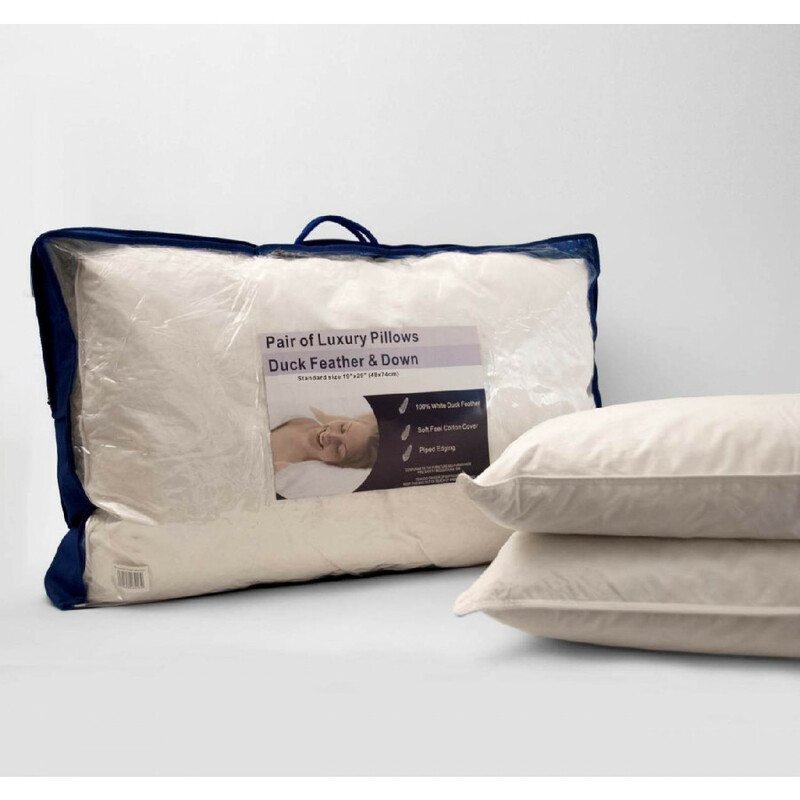 Offering sumptuous support and comfort, our Duck feather and down pillow is ideal for people who suffer from back and shoulder aches. This luxurious pillow pair contains 90% duck feather and 10% down, wrapped in a 100% cotton casing. Available as a set of two, these pillows are the ideal way to add sumptuous layer of comfort to an existing bed linen set. Easy to care for from home, these feather pillows are machine washable at 40 degree Celsius, so you can clean them whenever you like.